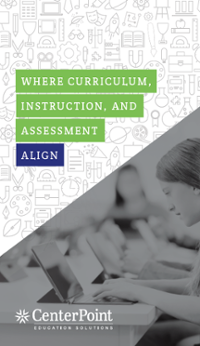 Regular assessment – aligned to standards and embedded in curriculum – can have a powerful and positive impact on student achievement. Interim assessments can be a key component of understanding student progress, supporting learning, and promoting equity by helping teachers understand student progress and personalize instruction to help meet their needs. 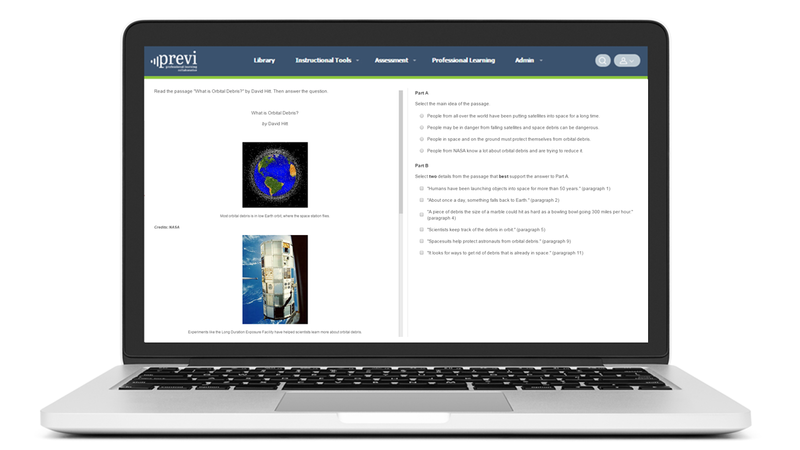 The Previ™ Learn interim assessments, available in English language arts/literacy (ELA) and mathematics for grades K-11, are a standards-based solution that helps drive professional learning community work and instructional decision-making. Previ Learn’s pre-designed or custom developed assessments use high-quality items to deliver reliable and accurate data that help administrators and educators determine student progress towards college and career readiness. Ready to see how Previ Learn Interim Assessments can support your school or district? We are committed to your success. 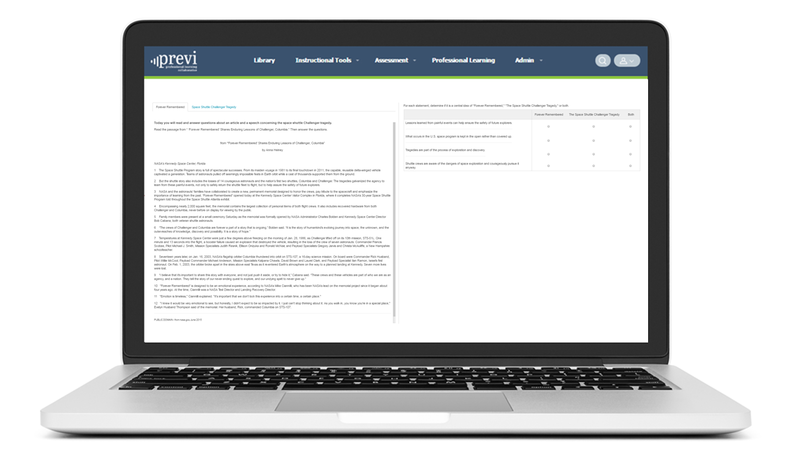 The Previ Learn interim assessments include a variety of support options to ensure a seamless integration into your school or district’s classrooms. In addition to phone- and email-based technical support, your administrators and teachers have access to on-demand webinars and training materials to help them understand how to use the interim assessments and the data they provide. 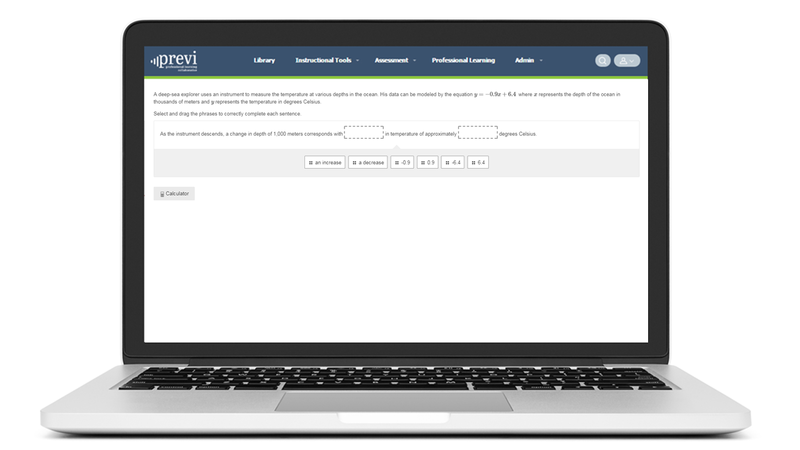 The Previ Learn interim assessments provide educators with easily accessible information at a variety of levels so that they can make quick, real-time adjustments in their classrooms as well as share information with students, colleagues, and parents. 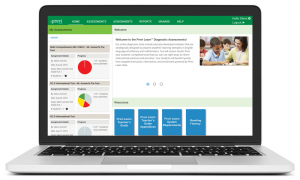 Seamless Integration into your Assessment System. Help teachers understand the depth and breadth of students’ skills in comprehending the kinds of authentic, complex literary and informational text that are important to college and career success. Help teachers evaluate students’ understanding of key mathematics content through rigorous performance tasks, which are critical to the development of student learning for grades 3-8. 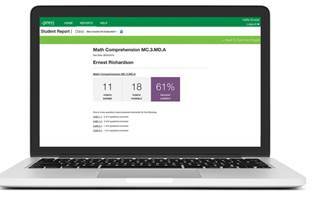 Provide teachers with a better understanding of their students’ progress in key areas including expressions, systems of equations, and functions, all important components to mathematics proficiency. Measure student understanding of basic geometry principles including area, volume, angles, and dimensions to evaluate their progress towards end-of-year expectations. Gauge student understanding of advanced algebra components such as linear equations, inequalities, and polynomials and radical expressions, based on college and career readiness standards. Learn more about CenterPoint’s interim assessments fo grades K-11. 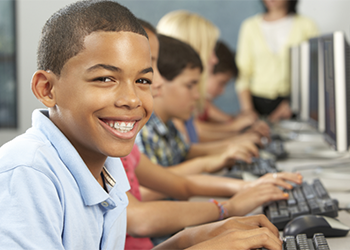 A comprehensive suite of computer adaptive and fixed form diagnostic subtests with aligned reporting for grades 2–11.